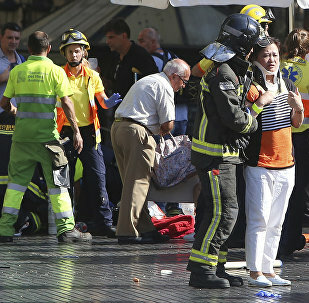 A series of terrorist attacks shook the Spanish region of Catalonia. 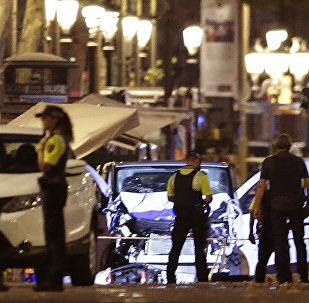 On August 17, a van plowed through a crowd of pedestrians in the Las Ramblas area in central Barcelona in the evening, leaving 13 people dead and over 100 injured, in what police have already said was an act of terrorism. The infamous terrorist group Daesh has already claimed responsibility for the attack. Hours after the tragedy, another vehicle attack took place in the coastal town of Cambrils, south of Barcelona. Six civilians and a police officer were injured; some of them are in critical condition. Possible secession of Catalonia from Spain may affect region's economy, set for October, Spanish Economy Minister Luis de Guindos said Monday. Will Spain Stop Arming Saudi Arabia After Barcelona Terror Attack? After the terror attack in Barcelona, Spain is debating whether to continue its arms sales to Saudi Arabia. Thousands took to the streets on Saturday to urge King Felipe VI, Prime Minister Rajoy and other top officials to halt the deliveries. However Spanish political analyst Pere Ortega explained to Sputnik why this outcome is highly unlikely. The terrorist group Daesh (outlawed in Russia) has released a video with threats to carry out new attacks targeting Spain, local media reported Thursday. Two people were detained in Morocco in relation to the attacks in Spain’s Catalonia, El Pais newspaper reported on Tuesday. 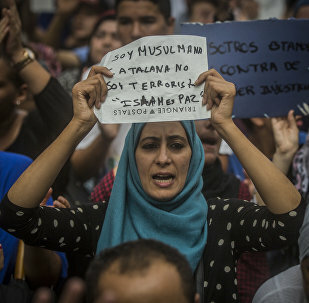 The Mossos d'Esquadra, the Catalan police force, is investigating whether 22-year-old Moroccan national Younes Aboyaaqoub, the suspected perpetrator of the Barcelona attack, was accompanied by anyone when he was shot dead by the police, El Periodico newspaper reported. 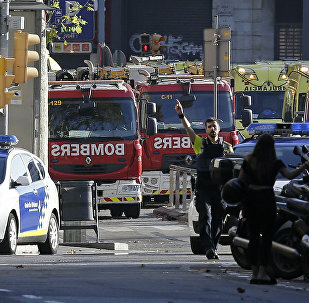 A recent string of terrorist attacks in Catalonia, Spain, once again has emphasized the need to step up counterterrorism efforts in Europe and broaden international cooperation in the field, according to Italian security analyst Giovanni Giacalone. 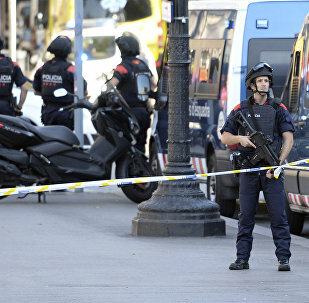 The man shot dead in the Spanish town of Subirats is Younes Abouyaaquob, the suspected perpetrator of the terrorist attack in Barcelona, local police said on Monday. The Australian government confirmed on Monday that its seven-year-old national was among the people killed in the recent deadly attack in the Spanish city of Barcelona. 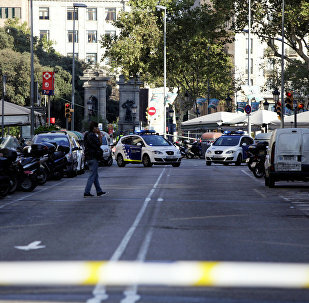 The search for the Barcelona van ramming attack's suspect has been extended to the EU level, Catalan Interior Minister Joaquim Forn said Monday. The Catalan police have identified a person who had committed a deadly van attack in the Spanish resort city of Barcelona. A Spanish far-right group attacked a mosque in the Andalusian city of Granada in the wake of recent terror attacks in Barcelona's central Las Ramblas area and coastal town of Cambrils, media reported. Abdel-Baki es-Sati, an imam from the Catalan town of Ripoll suspected by the Spanish authorities of masterminding Thursday's terror acts in Catalionia, spent thee months in the Belgian city of Vilvoorde in 2016, the city's Mayor Hans Bonte said Sunday. The authorities of Spain's Catalonia on Sunday urged the public to avoid considering the whole local Muslim community as criminal in the wake of Thursday's ramming attacks in the region. The family of Australian 7-year-old boy Julian Cadman killed in Thursday’s Barcelona van attack said on Sunday they extend their prayers to all those affected by the deadly terror act. According to police, some 120 gas canisters were found for "one or more" attacks in the Spanish city of Barcelona in the Catalonia region. 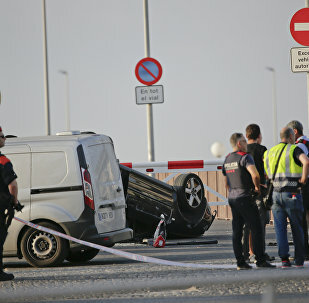 UK authorities are planning to introduce additional checks for drivers seeking to rent a car following deadly ramming attacks in Spain, local media reported, citing sources in the government. A terrorist cell responsible for the attacks in Barcelona's central Las Ramblas area and Cambrils coastal town was originally plotting a much bigger attack with explosives at the Sagrada Familia cathedral, local media reported, citing sources. Spanish authorities consider Abdel-Baki es-Sati, an imam from Ripoll, to be the main organizer of Thursday's terror attacks in Catalonia, local media reported Saturday. Spanish King Felipe VI and Queen Letizia have paid a visit to those hurt in Thursday's deadly van attack in the Catalan resort city of Barcelona. Spain's authorities have tightened security at the French border while searching for the perpetrator of Thursday’s attacks in Catalonia, local media reported Saturday.